Do you want to convert AVI to VOB format? Are you looking for a perfect way to finish the process? If yes then you will get these answers in this article today. There are many ways to get the work done such as software, online websites etc. We will learn about best AVI to VOB converters to convert an AVI video file to the VOB format easily and quickly. Edit videos with helpful trimming, cropping, and adding effects features. Convert videos with 30x faster converting speed with the help of high-speed technology. 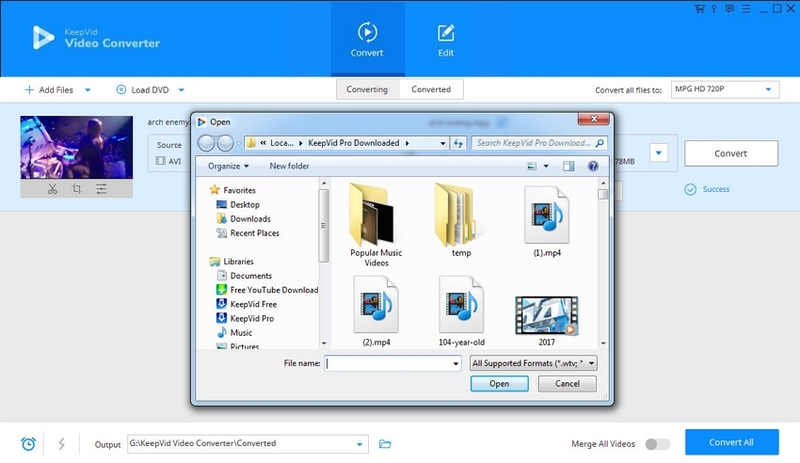 Step 1: Start KeepVid Video Converter and add AVI video into the program window. Step 2: Select VOB as an output format and click the Convert button. Step 3: When the conversion finishes, go to Converted tab to get your converted files. Download and install KeepVid Video Converter on your computer, and start it. Then choose the Convert section at the top middle of the main interface. After that, click the Add File or Add Folder button to add the AVI file from your computer. Or you can drag and drop the video into the program window directly. After adding the video into your program window, you can click the inverted triangle icon at the right side of the Target area, and choose VOB as an output in the pop-up dialog. Or you can click the inverted triangle icon at the right side of the Convert all files to button, and select VOB as the output format. Then click the Convert or Convert All button to start converting AVI to VOB. 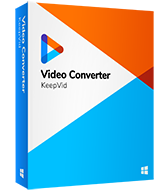 Now KeepVid Video Converter will start converting AVI to VOB immediately, and the program will show you the process of the conversion. When the conversion finishes, you’ll get the converted files in Converted tab. You can also right-click the video and choose Open File Location to find the converted file in your computer. • Converting AVI to VOB is easy to be done with the right video converter. • Before starting to convert a video, you’d better check the video quality of the output file. • You can edit the video before conversion with the trimming, cropping and adding effects features. Video converters are nowadays simple solutions for resolving the compatibility issues with the video format. There are various types of video converters which are available in online as well as desktop versions. The following part will show you the top converters to convert AVI to VOB. 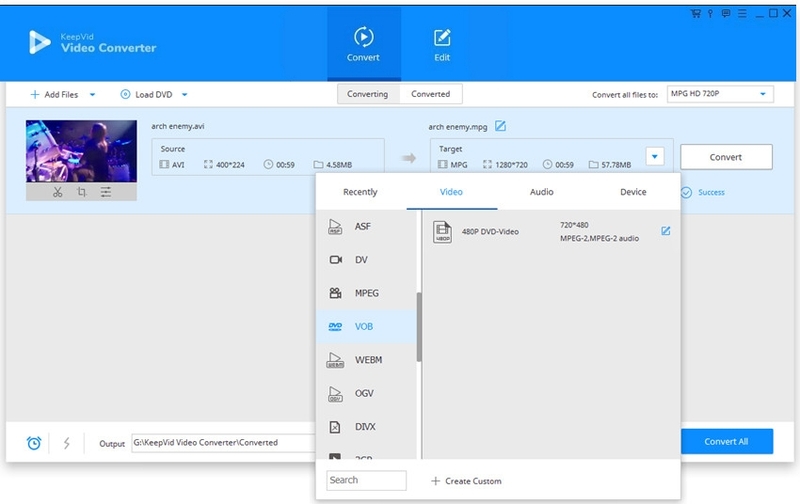 Another easy way to convert AVI to VOB is using the online video converter. KeepVid Online Video Converter is the best AVI to VOB converter if you’re going to convert videos online. While using this website there is no need to install any other third-party software or plugin in your computer. You just need to click the upload files button to add your files to the website for conversion. XiliSoft Video Converter is another desktop video converter program which supports more than 160 audio and video formats for conversion. This video converter allows you to convert HD videos, such as 1080P, 4K and more. If you have 2D movies then you can convert those movies in 3D with the help of this program. Preset formats are also available in this program which enables you to convert videos with just one click just by selecting the output format. 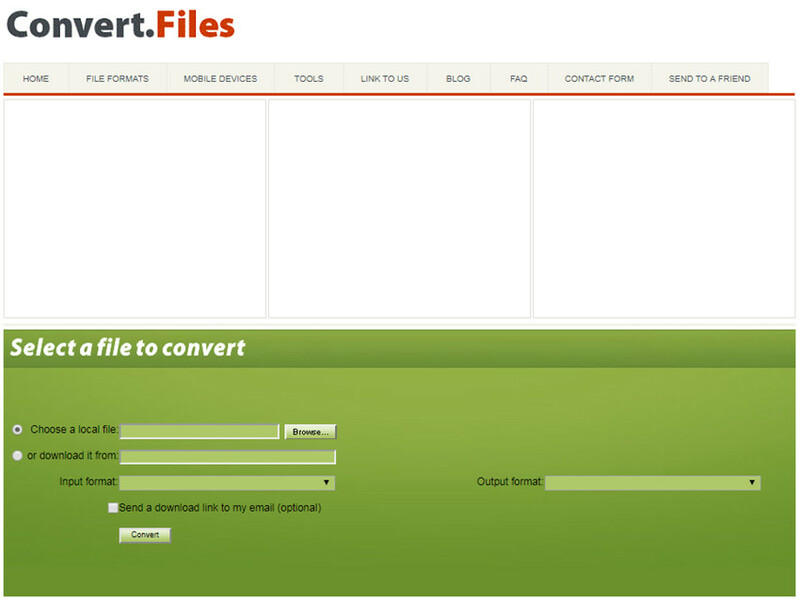 Convert Files is also an online AVI to VOB converter website with many conversion categories. It can convert video, audio and more for free online directly. It also enables you to choose files from the system, or get videos from the online video sharing sites. This online video converter is compatible with all the Internet browsers, such as Chrome, Firefox, Safari, etc.